Saginaw Bay for those heading out, ice conditions have not improved much and new snowfall has covered areas of thin ice and soft spots making them harder to see and judge. Anglers need to be extremely cautious. A good rule of thumb is; if nobody is fishing in a particular area, there may be a good reason for it and maybe you shouldn’t go there either! 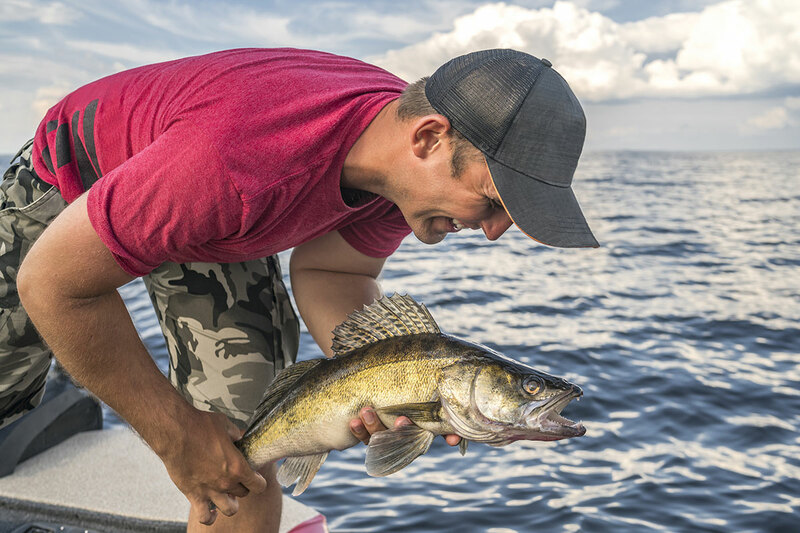 Many walleye anglers were going miles offshore but some have taken limit catches 1 to ½ miles out from Pinconning south to Linwood in 10 feet. The biggest share of activity was off Linwood in 17 to 20 feet. Catch rates were hit-or-miss with some getting limits while others did not do as well. Perch anglers were getting fish in six-and-a-half to seven feet off the end of Linwood Road. 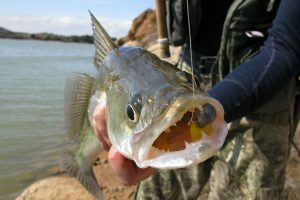 Quite a few anglers fishing seven to eight miles off the Bay City State Park were getting walleye. 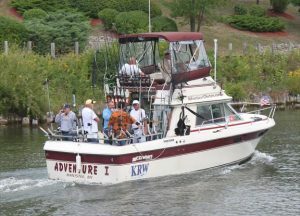 Anglers did well around Spoils Island off the mouth if the Saginaw River. The fish were suspended at 18 feet in 30 feet over the shipping channel and were hitting on smaller jigs and lures. On the south end of the bay, walleye anglers were going seven miles out from Finn Road to fish in 20 feet however anyone that goes out from Finn Road needs to watch out for thin ice created by the Hot Pond discharge. Perch fishing finally picked up off Vanderbilt Park near Quanicassee in eight feet but so many people descended on that area that apparently the fish left. Fishing should be better during the week when there’s less pressure. Sunset Bay Marina had a lot of activity with walleye anglers fishing along the Bar which is about a mile west of the deepest part of the Slot. Ice conditions off Thomas Road are not good and anglers should avoid the area. Perch fishing was slow from Sebewaing to Bay Port. Not many anglers were out and the deep snow made the ice hard to judge. There was open water off the Sebewaing VFW and off Rose Island. In Wildfowl Bay, some did really well on perch but most caught very few. The key seemed to be spending enough time on the ice and either sitting tight and letting the fish come to you or moving around a lot and finding some active fish. At Caseville, ice anglers hugging the south side of the pier caught a few lake trout and walleye. They also reported seeing whitefish but were not catching many. Port Austin had little activity with only a couple ice shanties out. Saginaw River fishing along the lower river was pretty good with lots of anglers around the U.S.S Edson and at the river mouth getting good numbers of walleye, but the snowstorms on Friday and Sunday stopped everything as anglers reported marking lots of fish but they would not bite. Good depths were 17 and 23 feet downstream of the Independence Bridge near the Edson, and in the channel in 28 feet at the mouth. 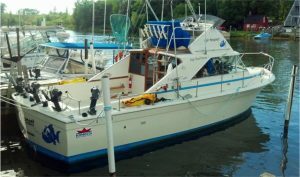 Anglers are cautioned to be extra careful where they are walking; as an angler went through in a large fishing hole that was cut and abandoned without being marked near the USS Edson. There’s been so much activity at some locations, the ice looks like Swiss cheese. At the upstream end of the river, there wasn’t much activity off Wickes Park but the turning basin by Ojibway Island had a few anglers and many were scattered all the way from First Street to Bay City, but success was spotty and small fish dominated the catch. Watch for bad ice conditions around both sides of the Zilwaukee Bridge and around Crow Island. Au Gres Area walleye and pike were caught on the northeast side of the breakwall. Off Booth Road near the tip of Pointe Au Gres, some walleye and lake trout were taken in eight to nine feet. 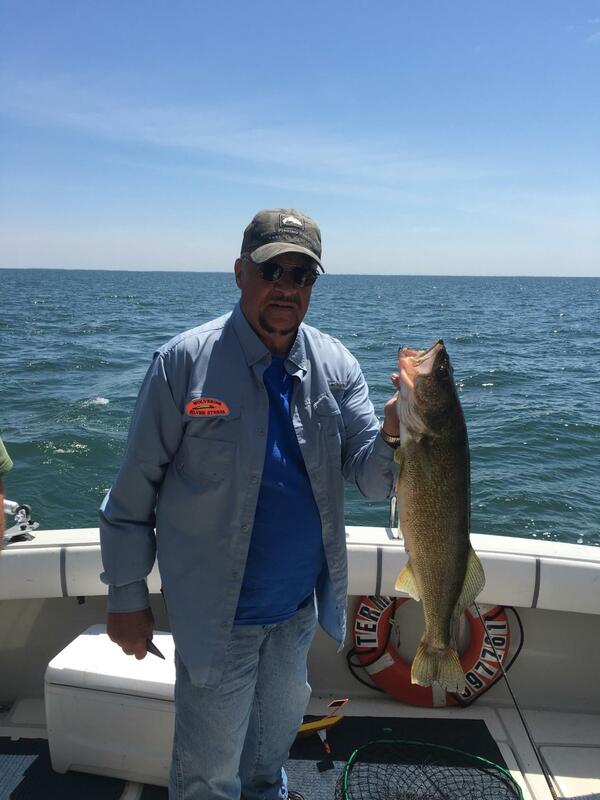 Down in Wigwam Bay, anglers going out off the end of Hale Road caught walleye and perch to the south or southwest towards the mouth of the Pine River in eight to 10 feet. The perch were running seven to 10 inches with a few up to 12 inches. Be sure to watch for the active pressure crack out there! Tawas Area ice fishing was kind of spotty off Jerry’s Marina and out near Tawas Point. A few perch were caught near the reef. Walleye and pike fishing were slow but a decent number of pike were speared. Fishing Tip: Fish for FREE this weekend! 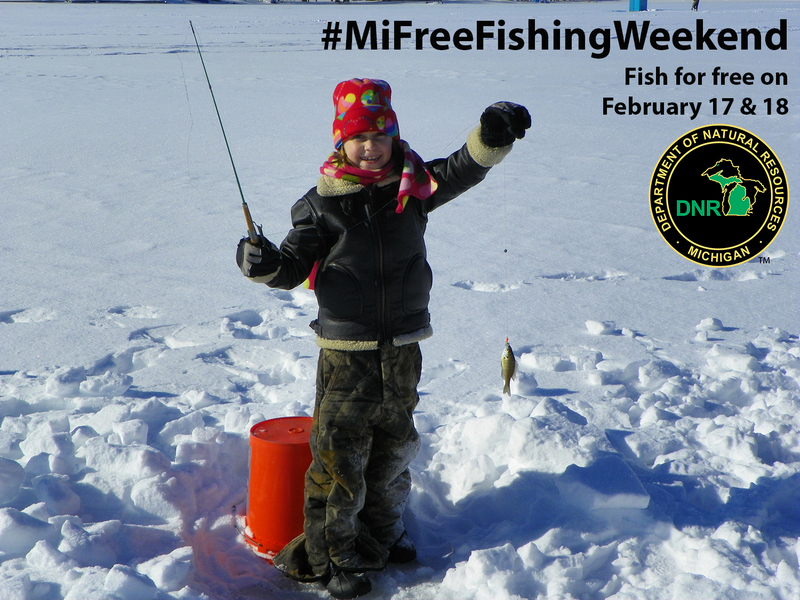 Just a reminder this Saturday and Sunday brings the 2018 Winter #MiFreeFishingWeekend to Michigan! On those two days all fishing license fees will be waived. 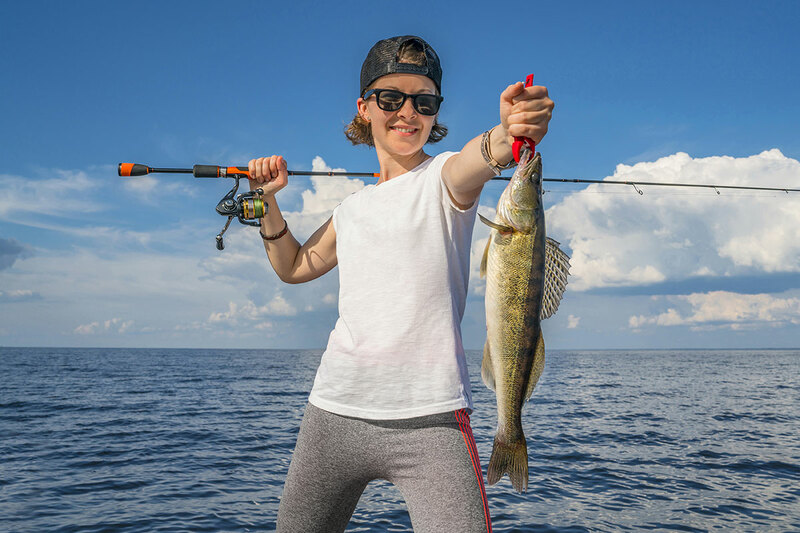 Residents and out-of-state visitors can enjoy fishing on both inland and waters of the Great Lakes for all species during their respective open seasons. Please note all other regulations still apply during that time. 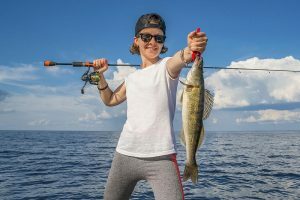 There are plenty of ways to take advantage of the upcoming Free Fishing Weekend – whether that means heading out to your favorite fishing hole or taking your family to an organized event. Please note all events are subject to local weather conditions. 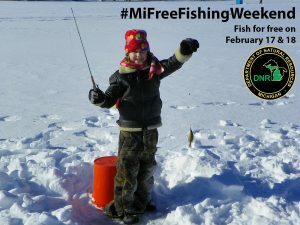 More information on this weekend’s unique opportunity to fish for free and this year’s official events can be found at Michigan.gov/freefishing.